When Golaud finds Melisande in the woods, alone and with a mysterious past, he claims her as his wife. After she meets his brother Pelleas, a secret love simmers between them while Golaud’s suspicions deepen. A family slowly corrodes as their tragic fates inevitably take hold. Discover the haunting beauty of Pelleas and Melisande, the only opera from Claude Debussy. This symbolist masterpiece fuses text, ethereal harmonies and floating instrumental colour with an atmospheric poetry unlike any other work. Hear the crystalline purity of Australian soprano Siobhan Stagg alongside celebrated tenor Angus Wood, in Debussy’s mesmerising opera. Running time is approximately 2 hours and 30 minutes, plus interval. Please note that the Audio Description and Tactile Tour for Saturday 13 October will not be going ahead as planned. In the mythical kingdom of Allemonde, King Arkel’s grandson, Golaud, is lost in the forest when he comes upon a young lady weeping at a fountain. She cannot or will not reveal anything of her past, but Golaud manages to draw out her name – Melisande – and persuades her to follow him out of the dark woods. Golaud returns to his grandfather’s gloomy castle with the mysterious Melisande, to whom he has been married for six months. Golaud’s half-brother, Pelleas, shows her around the castle grounds and Melisande is attracted by water in a well. She is mesmerised by her own reflection and accidentally drops her wedding ring into the depths. At the same moment, Golaud is thrown from his horse. Sitting by her husband’s bedside, Melisande confesses her persistent feelings of foreboding and as Golaud comforts her, he notices her missing ring. Angrily, he sends her out into the night to look for it with Pelleas. Pelleas is making plans to leave the castle to visit a sick friend when he comes upon Melisande combing her hair in the window of a tower. He can’t reach her hand to kiss it but as she leans through the window her hair drapes over him, stirring feelings inside him. Passion simmers between Pelleas and Melisande as jealous rage slowly consumes Golaud. Can the family survive this torrid love triangle? Debussy’s only opera is a work of uncanny beauty, subtle nuances and deep orchestral colour. The dark and unsettling yet seductive music creates a portentous atmosphere and reflects the story’s ambiguity and Symbolist origins. Dreamy orchestral interludes connect the 15 scenes into a continuous flow of music. One of the most superb settings of the French language, it is sung mainly in recitative, maintaining the rhythms of natural speech. Leitmotifs for each principal character help express their psychological states and inner lives. Defying Italian operatic traditions and the dramatic music of Wagner, Debussy created an opera that was highly original in its time and has had few imitators. 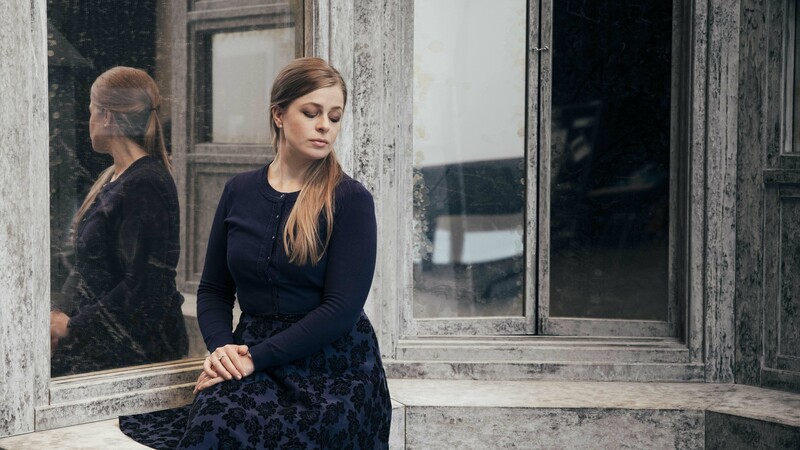 Devoid of traditional arias or grandiose expressions of feelings, Pelleas and Melisande requires audience members to put aside preconceived notions of what typically defines opera and connect with the music in a more subconscious way. Learn more about French Symbolist movement and the music of Pelleas and Melisande with our Education Resource. Designed for school students in Years 7-12 and aligned with the Australian Curriculum. Siobhan Stagg’s appearance is generously supported by Siobhan Lenihan.